Let Harvey's delicious desserts entice you. Harvey's Bar and Bistro is conveniently located in the James Street Precinct of Fortitude Valley. With its leafy outer patio sitting areas overlooking the bustling James Street, Harvey's is perfect for a delicious brunch or gourmet lunch. On this particular occasion, a late night dessert run was on the cards and Harvey's was the first restaurant with an enticing dessert menu. 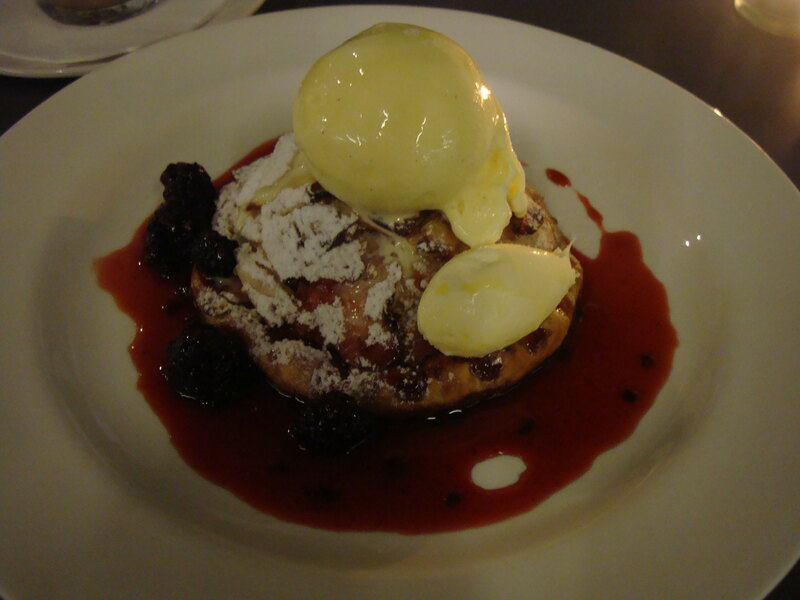 This visit had us sampling the baked apple pie with blackberries and vanilla ice cream and a coconut panacotta with mango coulis. 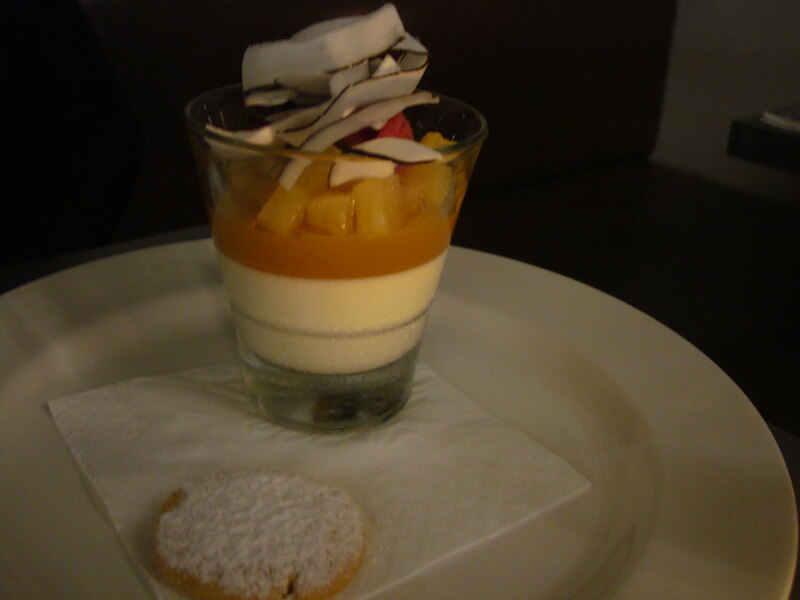 The first bites of both desserts caused flavour explosions in a mouth highlighted by the crispy textures of the pastry on the apple pie and the coconut shavings on the panacotta. We have nothing but great things to say about Harvey's and can't wait to visit again to try their full menus.